Members in attendance: Kathie, Jack, Marlene, Trish, Jim, Tim, Anita, Brooke. Wildlife sightings: 2 red fox, 2 great horned owls, several hooded mergansers, downey woodpeckers, tundra swans on Lake Mendota. Jim reported seeing “3 pairs of eyes glowing in the dark.” Species not identified. Treasurer’s report: all 4 educators of Last Child In The Woods program have been paid. Their salaries were increased to $250 each from original of $200 each. Salaries were increased because of high quality of work and extra effort they put into the job. Discussion of 2011 North Star award won by Wild Warner. 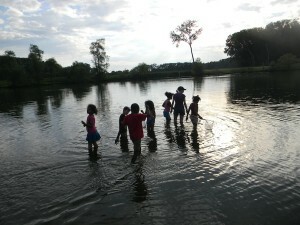 Anita Weir explained $25,000 in city budget for water quality study of Warner Park lagoon. Additional $25,000 must be raised for study to go forward. Caroling party set for Dec. 22, 7:30 p.m., meet at Jim and Trish’s house. Marlene and Brooke to work on ideas and grant writing for next summer’s programs. Discussion of getting table at Northside Farmers’ Market for soliciting new members. Trish announced that The Nelson Institute wants to continue working with Wild Warner with the Last Child in the Woods Project. Wild Warner will be recognized November 11 with the North Star Award. Geese Report: Kathie felt like we needed an expert on writing the proposal for the geese issue at Warner (wants to call in Geese Peace for their expertise). Goose Coalition is meeting with the Mayor. Katie Crowley of the mayor’s office and Alder Anita Weier need to be involved with the geese issue at Warner. Talked about meeting with Jan Herbert (from Rockford) and Katie Crowley. Rhythem and Booms: City will contract one more year for R&B with a smaller event venue focusing on the fireworks. R&B will be evaluated after 2012.We need to have an environmental impact on R&B and give data to appropriate departments. Warner Park Master Plan consultant will be hired for $100,000. Alder Satya Rhodes-Conwaya wants a regionalized overview of Warner’s usage. Need to talk to Anita Weier about the Master Plan as well. Input from group included that it would be smart to embrace the Master Plan Project and to have ‘all our ducks in a row‘. Need blended focus groups rather than solo groups for the plan. How can we better the park rather than oppose an idea. Need to define the issues. Be for something not against something. Urban Wetland seminar in February …need to attend. Long term vision includes wetland designation of Warner. 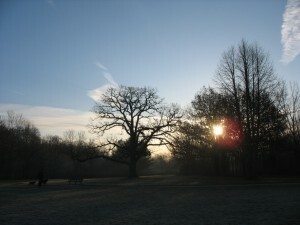 We would like to put a Nature education display board up at Warner to record and register sightings in the park. Need to talk to Brad about this. This would include register and flyers about Wild Warner. Similar to the Central Park model in New York City. Tim told us that 9 bird houses were ready to be installed. Twelve people came out for the tree walk / very informative. Complete success. Parks Department has agreed to stop mowing the dog park meadow and under the bur oak trees. Mayor’s budget did include R&B for next year. City funding of a $100,000 was budgeted for a new master plan for Warner. The question of, can we get on the master plan committee as a group, came up? Need to have a meeting with Satya and Anita Weier. Mayor has agreed to have a 45 minute meeting with the Geese Group Coalition. 35 kids attended the Last Child in the Park group. Mayor Soglin is going to come in the spring and walk with the kids in the group. Mr. Klinke wants to have a walk through with Wild Warner and toss around volunteer ideas: Taking out invasive, signage, mulching etc. Delores brought up the idea of partnering with Ho Chunk to identify possible Indian mounds in the area. Delores will ask Renee Lee and see what info she can give us about this topic. Membership drive: Need to compile a brochure and list our accomplishments, Business membership fee? ($50.00) Possibly putting up a booth at the Northside Farmer’ s Market with literature. Need to reach out to neighborhood association. Possibly by putting announcements in their news letter. Need press releases. Madison Parks’ new Operations Manager, Charlie Romines (Row-mines) and East Side Manager Craig Klinke were our guests for a two-hour discussion. We presented Klinke with a framed photo of children enjoying the high meadow, and thanked him for his cooperation in not mowing the upper meadow. We asked that parks stop mowing under the Bur Oak, and the entire Dog Park Prairie, except for Sled Hill. We reviewed our First Year Report. A meadow, with new bluebird families and a host of other life, off Monterey Drive. If you haven’t seen it lately, walk through it. It’s wild and beautiful. Nine guided nature walks, ranging from wetlands to birds to park history. Partnership with North/Eastside Senior Coalition (NESCO) and Madison Mallards. Birding to Save the World – A mentoring partnership between UW Madison students, Sherman Middle School students and Wild Warner, with weekly nature walks. To resume in the Fall 2011. 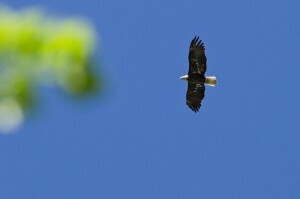 Supported by the Gaylord Nelson Institute for Environmental Studies, Wisconsin DNR, Audubon and Northface. Brentwood Neighborhood Community Coalition family night nature walks, led by four UW students, with St. Paul Lutheran Church. Supported by a $2,500 Madison community services grant. Includes purchase of 16 pairs of binoculars which will be shared with NESCO and the Warner center for checkout. Documentation of 114 species of birds, plus foxes, deer, mink, beaver, and a 200+ bur oak tree. Research by four UW professors and their students that includes geo-locating catbirds and a wetlands survey. A reduction in the number of geese under a geese management plan unique in the city. The plan and member advocacy prompted the Parks Department to use natural barriers, egg oiling and other actions to avoid mass killings. A subcommittee spent months documenting geese numbers and habits, meeting with mayoral and council candidates and advocating for geese in the media and public meetings. Trash cleanups, on land and in the lagoon with kayaks. Over 50 hours of volunteer time. Removal of the Cyclocross bicycle race. Training as Park Watch monitors, and volunteering in invasive species removal. Bird houses and potted plants at Warner’s Community Center to attract birds and butterflies. 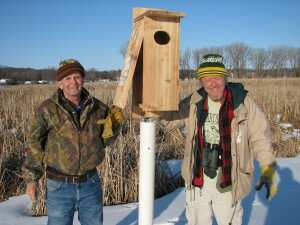 Helped put up bird houses for bluebirds and wood ducks with Audubon and Dane County Conservation League. A Web site with photos, stories, history, maps and positions, with professional photo contributors and a new Web intern. Newspaper and television stories about Wild Warner programs. Watchdogs for roaming dogs, homeless camping, park management, and ecosystem destruction in the greater park area. Attendance at every Parks Commission meeting, Parks Department meetings on geese management and the Open Space Plan, as well as meetings of the Planning Commission, the habitat subcommittee, environment and Rhythm and Booms. A 501c3 fiscal sponsor partnership with the Northside Planning Council for grants and donations. Incorporation as a nonprofit Wisconsin group, with bylaws – now posted under “About Us” on the Web site. But we have also learned that the threats to Warner’s wild side never end. We need your help and continuing support. Please consider a paid membership, which allows you to vote at our monthly meetings, held on the first Tuesday of every month. Please plan on attending our first annual meeting Tuesday, Aug. 2 at the Warner center, 6-8 p.m. We’ll be electing officers under our new bylaws, and strategizing plans for a second great year. We plan a birthday party a little later. Minutes from July 5, 2011 meeting. Brentwood Program Update: Alex stepped down as the coordinator of the program. Trish was able to save the program by using 5 students from the UW as interns. 15 kids attended the first program. Success!! There was talk about loaning or renting the binoculars that were purchased with the grant monies. Having 3-4 pairs at the community center to check out. Still deciding on best way to get them out to the public for use. Rhythm and Booms: Want to do some investigating of the product that is being used during R & B. Concerned about the physical aspect of what R & B is doing to the pond. Also interested in the chemical aspect of R & B (heavy metals). Need to estimate the quantity of product that was used. Do we need to talk to the DNR about regulatory and pollution issues? Talk of laser as an alternative light show. Geese: Kathie, Lori and Timothy have been very busy. They want to personally meet with the mayor and find out his stands on the Geese issue. Question of whether or not the mayor’s office has authority over the Parks Department arose. Over 200 geese have been slaughtered and they have only done the south and west areas. During August or September the official request will be made to meet with the Mayor. Sandy has been working in the meadows cutting out invasive plants in the prairie. Talk of getting the Parks Department approval came up and will be followed up with an invitation for Mr. Klinke to come to a meeting and get feed back and approval from the Parks Department. 1) Dave Meyer from Brentwood neighborhood association spoke about his groups activities and a possible collaboration with Wild Warner. 2) Alex Singer presented a detailed list of proposed expenditures for the $2500 grant. A) voice vote to accept his proposal with exceptions to purchase better quality binoculars and eliminate purchase of canoe. 3) Discussion about need for insurance and by- laws. Jim and Delores to meet to frame by-laws. 4) Tim Nelson will organize lagoon cleanup in conjunction with “Take A Stake In The Lakes”, June 11 and 18. 5) Kathy Free gave a report on continuing goose issue. 6) Jim Carrier showed sample of Wild Warner brochure which will be made soon. 7) Next meeting set for July 5 at Warner Rec center. This amendment prohibits feeding of wild and free roaming domestic animals and birds in county parks and on lands managed by the Parks Division without written permit or authorization from the Parks Director.